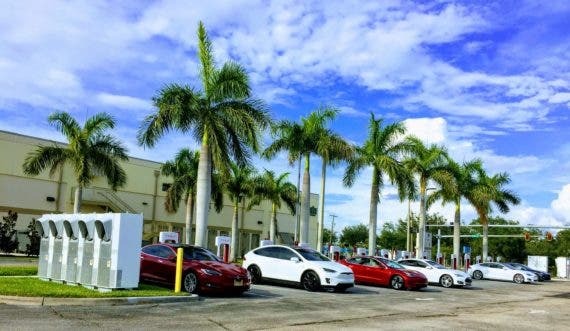 One of the biggest advantages that Tesla currently holds over all other electric carmakers is its proprietary Supercharger network. 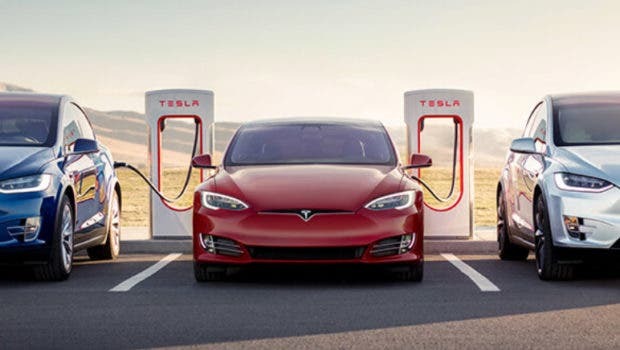 By plugging a Tesla Model 3, Model S, or Model X into a Tesla Supercharger, you can recover about 60% of the car’s range in less than half an hour, or 100% of its range in 60–70 minutes. And while this is significantly longer than it takes to fill the tank in a traditional gas-powered car, it’s quick enough that taking a Tesla on a long-distance road trip is actually practical. Tesla surprised its early Model S reservation holders with its release of the first Superchargers in 2012 and news that Model S owners would have free unlimited access to Supercharging for life (well, the life of the car anyway). Since then, the carmaker has continued to offer the free unlimited Supercharger option to its Model S and Model X customers, as long as you buy the car through a referral link from an existing Tesla owner. However, for Model 3 owners, Supercharging has always been a pay-per-use option. You pay a fee based on how much power you use. The rate you pay varies geographically. In New York, I am charged 24 cents per kWh (kilowatt-hour), which is a bit more than I pay for electricity at home during off-peak hours, but less than I pay on peak. It works out to be roughly 50% less than what I had previously been paying for gas, mile for mile, in a Toyota Highlander Hybrid. So, it’s not super-expensive, but free would be better. Tesla’s Supercharger network enables long distance travel in most parts of the world. Last week, Tesla quietly announced that it was extending the free Supercharging for life option to those who buy a Model 3, but there was a catch: only the Performance version of the Model 3 qualifies. So, if you’re not planning to pony up the premium for the higher end Performance version of the Model 3, you’ll still have to pay per use at the pump (the electron pump). Of course, the Performance version offers other benefits as well, but there is a significant premium associated with the upgrade. A Model 3 Performance model currently starts at $64,000, which is a $10,000 premium over the dual-motor, long-range, non-performance variant. So, what do you get for that $10,000 premium? The Tesla Model 3 Performance version is available with optional 20-inch performance wheels and a carbon fiber spoiler. Although Tesla claims a zero-sixty time of 3.5 seconds in the Performance model, real-world tests show that it actually does a bit better than that, with repeated 0–60 mph times of about 3.3 seconds, according to our friends at Teslarati. Chris Boylan is an EV and alternative fuel enthusiast who has been writing about technology since 2003.